TreasuryONE said earlier that the rand was likely to feel the impact of load shedding the longer it persists. The rand closed at R14.44 to the greenback on Tuesday afternoon. The day's range was between R14.33 to R14.48. TreasuryONE said earlier that the rand was likely to feel the impact of load shedding the longer it persists. At a briefing on Tuesday, Public Enterprises Minister Pravin Gordhan said he could not yet say when rotational load shedding would be suspended. Gordhan said he would only have a clearer answer in about ten to 14 days' time. Nissan plans to more than double the number of factories it has in the Middle East and central Asia by 2022, as the Japanese automaker seeks to secure the top market share in some of the region’s most populous and wealthiest nations. The company currently has three factories in India, Egypt and South Africa. It wants to add facilities in countries including Pakistan and Algeria, Peyman Kargar, chairman of Nissan in Africa, the Middle East and India, said in an interview. Others would come later, he said. While the region is one of the smallest markets for global car makers, Nissan produced 6 percent of its vehicles globally in India in 2016, according to the most-recent data compiled by Bloomberg. The company is also aiming to leapfrog competitors in the Gulf Cooperation Council and Egypt by 2022 by increasing its market share to more than 20 percent by 2022, from 16 percent and 15 percent, Peyman said. The GCC is home to six oil-rich countries including Saudi Arabia. Thailand is preparing for its first general election since a military coup in 2014. Indonesia’s presidential poll follows next month, with incumbent Joko Widodo seen holding a lead over rival Prabowo Subianto. And by then, India, the world’s biggest democracy, will have begun six weeks of voting that will decide whether Prime Minister Narendra Modi wins a second term, with final results due May 23. 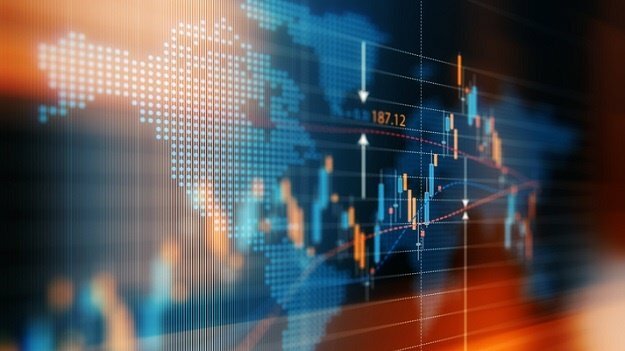 Asia will be at the epicenter of the election story in coming months, while votes in South Africa and Argentina are likely to provide added risks for investors at a time when implied currency swings are at their lowest in a year and banks including Morgan Stanley and HSBC Holdings are urging caution. A Bank of America Merrill Lynch survey published last month labeled emerging markets the world’s most-crowded trade, with indexes of sovereign bonds and currencies registering year-to-date gains and equities on course for their best quarter in two years. “With the way emerging markets have been moving this year, investors need to be more selective based on a variety of factors including economic fundamentals and political risks,” Takeshi Yokouchi, a senior fund manager at Daiwa SB Investments in Tokyo, which manages the equivalent of $54bn, said in a phone interview. Fred Phaswana, Joint Chair of Mondi Limited and Mondi plc, has decided to retire, Mondi informed the JSE and London Stock Exchange on Tuesday. "Fred is fully supportive of, and committed to, ensuring the smooth implementation of the prosed simplification of the Mondi Group's corporate structure announced in November 2018," the group said in a statement. "He will stand for re-election at the annual general meetings of Mondi Limited and Mondi plc in May 2019 and, subject to his re-election by shareholders, will remain in office until completion of the proposed simplification... after which Fred intends to retire." The simplification is expected to be completed in the second half of 2019, and further details will be announced shortly, Mondi said. David Williams has also elected to retire in 2020, having served for more than nine years as Joint Chair and almost 12 years on the boards, the group added. The search will begin shortly for a new chair, with details to be announced. The price of the metal - mainly used in autocatalysts in gasoline vehicles -- has almost doubled from a recent low in August. Demand has remained robust as manufacturers scramble to get hold of palladium to meet more stringent emissions controls, particularly in China, even as auto sales in key markets slow. With the palladium market expected to be in deficit for an eighth year, speculators have piled back in, and a robust borrowing market for the metal prompted investors to pull supplies from exchange-traded funds and lease them out. Fiat Chrysler Automobiles NV’s recent recall of almost 863,000 vehicles that violate U.S. standards could spur even more demand. The metal’s rally is even stirring debate about whether automakers can make the switch to cheaper platinum to help control their costs.“We remain bullish on palladium since the physical palladium market remains tight and it will take years to substitute,” analysts at Citigroup Inc. wrote in a March 19 report. Palladium climbed as much as 1.4 percent to $1,601.52 in London, and is up 27 percent this year. Bank of America Merrill Lynch earlier this month raised its average forecast for 2019 to $1,800, suggesting that prices could surge as high as $2,000. The Indian rupee’s eye-watering rally had to come to an end sooner or later, but today’s 0.4% drop was a somewhat anomalous event in emerging markets, as most of its peers continued to benefit from the dollar’s pre-Fed weakness. However, it may be a sign of things to come - for a host of reasons. First, the central bank has been signaling lately it’s not entirely happy with the rupee’s strength. Second, oil is headed back up toward $70 a barrel. Bianca Botes from Peregrine Treasury Solutions says despite the softer dollar, the rand is struggling to gain ground against major currencies due to load shedding which has placed the currency under pressure. By 11:18, the rand was trading at R14.35 to the greenback. "Global markets are gearing up for yet another round of dovish Fed comments tomorrow, as the US central bank is expected to keep rates on hold. "The rand has remained largely flat, trading in a tight range between R14.38 and R14.50, where it is expected to remain," she said. The rand seems to be happy in the R14.30 to R14.50 range that it's currently in, says TreasuryONE's Senior Dealer, Andre Botha. "The steadiness in the rand is due to the placid trading of the US dollar and an overall sense of calm in the market. This gives one the sense that there could be some movement after the US Fed press conference tomorrow, and the market is just sitting on their hands. "The possibility that the Fed will stay dovish and stop the drain of US dollar liquidity could mean that EM will be in the pound seats. However, the rand faces headwinds in the form of the current spate of load-shedding, which will start to weigh more heavily on the rand the longer it continues. "The longer it continues the more of an effect it will have on the South African economy and will irk rating agencies which will be rand negative in the long run. Equities in Asia drifted Tuesday as traders awaited central bank meetings amid expectations of dovish signals to monetary policy. The dollar steadied after recent declines, while the yen edged higher. Stocks posted modest losses in Japan, China and Hong Kong and were little changed in Australia. US equity futures ticked higher after the S&P 500 Index climbed to a five-month high Monday. European equity futures were mixed. The pound pared losses that came after the speaker of Parliament blocked another vote on Prime Minister Theresa May’s current Brexit plan. The yield on 10-year Treasuries nudged lower to just under 2.6%. Australia’s three-year bond yield slid below the 1.5% policy rate for the first time since September 2016. A dovish tilt from the world’s central banks has helped global equities rally to the highest since October. Expectations are that the Fed will point the way to just one rate hike in 2019 when it meets Wednesday. The Bank of England also meets this week and is seen holding rates steady. Tencent is putting about 10% of its managers on notice, as China’s largest gaming and social media company shakes up its workforce amid cooling growth and intensified competition, according to people familiar with the matter.